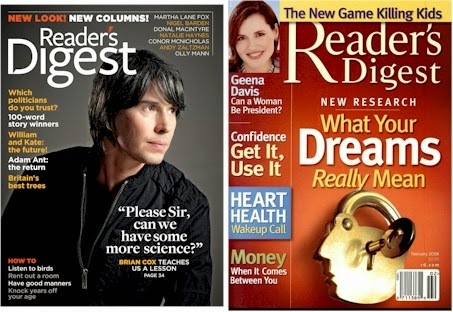 Get a 2-year subscription to Reader's Digest for $15.00 (or $7.50 per year) here (no promo code required). That's 20 issues, 75 cents per issue. 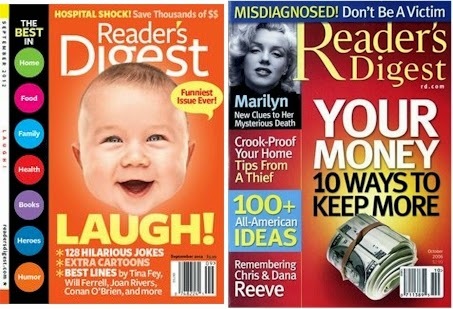 The newsstand cover price on a single isssue of Reader's Digest is $3.99, so this basically pays for itself by the time you've received the fourth issue. This offer is good on new and gift subscriptions. 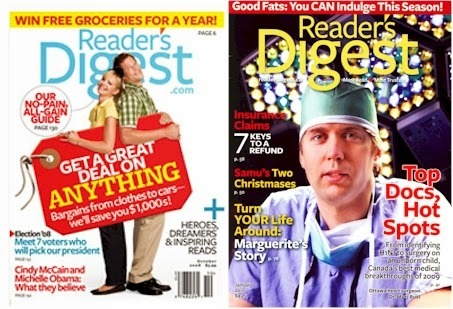 If you prefer to subscribe to Reader's Digest Large Print Edition, you can get it for one year for $18.00 over here. Since it's not specified here, I did call Reader's Digest to make sure this offer would not auto-renew at a higher price and they said that it will not auto-renew if you purchase it from this page (whereas offers on other Reader's Digest sites do auto-renew). This is a limited-time offer. 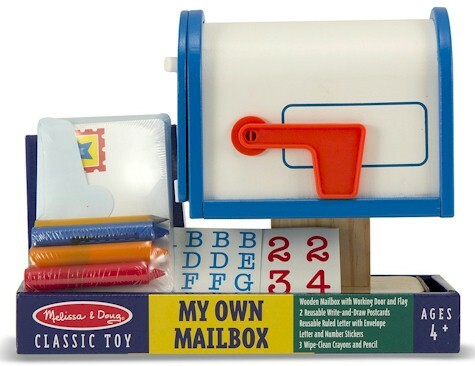 Nordstrom has got the Melissa and Doug "My Own Mailbox" for only $15.99 with free shipping and that price includes personalization and free shipping. 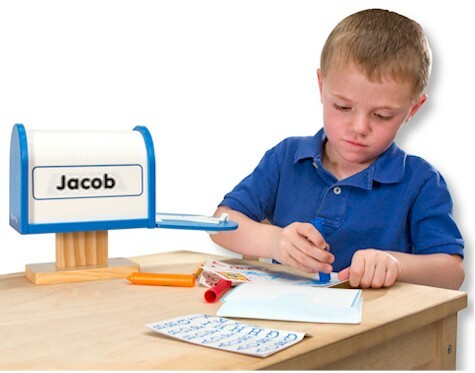 Helps teach color recognition and pre-literacy skills, encourages fine motor skills and imaginative play. 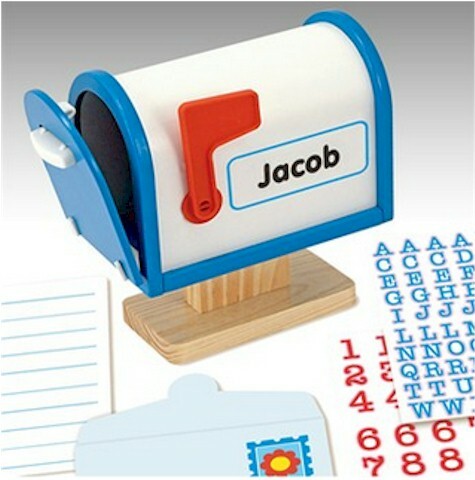 Please note that when you purchase this mailbox set from Nordstrom, it must be personalized (up to 12 characters). If you'd like to buy it without personalization, it's available for two dollars more at $17.99 with free Prime/SuperSaver shipping at Amazon (where it got 4.7 out of 5 stars over 117 customer reviews). 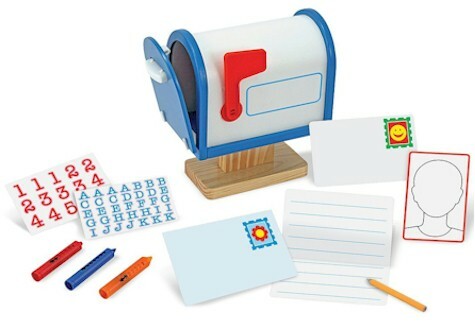 Daily Cheapskate reader, Fallon, bought four of these and personalized them, one for each of her kids (ages 4 to 15) and every morning, they each get "mail" from their parents (and printed-out emails from their grandparents and aunts and uncles) with friendly notes, chore assignments, "forms" asking them what they'd like for lunch and dinner, packages with goodies, library books and children's magazines that she's picked out for them etc. She said that since they got their mailboxes, her kids bound out of bed in the morning to see what their parents the mailman put in the night before. What a fantastic idea! Wow! This set of 12 Arc International Venice All Purpose 15.75 oz. Goblets is only $12.07 on Amazon. That's a dollar per glass. Buy now, put it away for Pesach, or keep it to have an extra set when you are brimming with company. 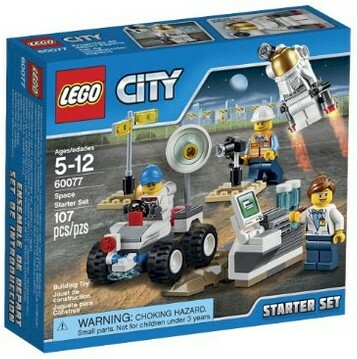 Amazon has got the LEGO City Space Port Space Starter Building Kit (#60077, 107 pieces) for $7.99 with free Prime/SuperSaver shipping, the lowest recorded Amazon price on this new LEGO set. 5 out of 5 stars over 2 customer reviews. 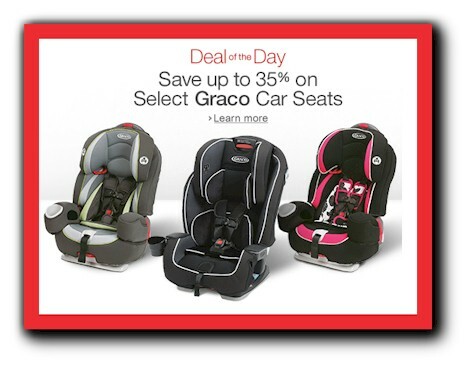 Amazon's Gold Box Bonus Deal of the Day for today, 8/30/15 is up to 35% off Graco Car and Booster Seats, with prices starting at $51.99. There are currently 11 selections available. 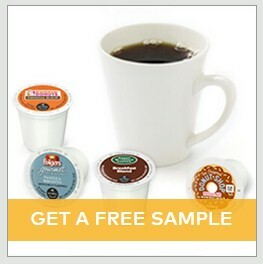 Request your free Walmart Back-To-College K-Cup Pod Sample Pack here. Bought Starkist tuna from 2009 to 2014? Join the Starkist Class Action Settlement. Do you buy Starkist tuna? There is currently a lawsuit pending against Starkist for underfilling their tunafish cans. While Starkist denies doing this, they are willing to settle this claim by giving all of their consumers who purchased a select Starkist 5 oz. canned tuna product from 2/19/09 - 10/31/14 either a check for $25 or $50 in free product coupons. We must have bought over a thousand cans of tuna over that 5-1/2 year period, as we are major tuna consumers. We opted for the $50 in free product coupons. You can start your online claim here. Select the third option, "I DO NOT have a claim number, but I would like to file a claim online." You must file a claim no later than 11/20/15 in order to be considered as part of the class. You don't need to provide proof of purchases, but you are certifying that "under penalty of perjury that I purchased the above-selected StarKist product(s) in the United States of America during the Class Period. The above information is true and correct to the best of my knowledge," so only submit this claim if you actually did purchase Starkist canned tuna during this time period. Remember, this is not a freebie offer; it's a lawsuit settlement. The settlement is scheduled to be approved (or not) on 12/17/15, so you can expect to get your $25 or $50 in vouchers some time after that. Tomorrow is the very last day for this August Amazon gift card offer, good only for select Amazon account holders. Log into your Amazon account first and then click here to see if you are eligible. If you are not eligible, the screen will say "unfortunately. you are not eligible for this offer." 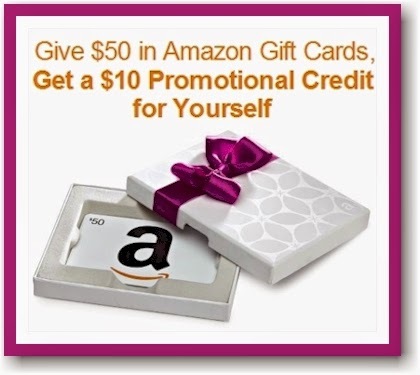 Just send a friend (or yourself) a $50 Amazon gift card before 8/31/15, use promo code 0815GCARDS at checkout and get a $10 Amazon credit for yourself in the form of a promo code. Make sure you enter the promo code 0815GCARDS when you buy the gift card. You must enter the promo code in order to get the $10 credit. The free promotional code of $10 will be sent within five days to the email address associated with the Amazon.com account used to purchase the gift cards. The free $10 promo code may be applied only to eligible products sold by Amazon.com and its affiliates and does not apply to products sold by third-party merchants through the Amazon.com site. The free $10 promo code expires on 10/16/15. Like the current stock market, this super-popular Cuisinart knife set just keeps dropping in price, but they can't get much lower than this! 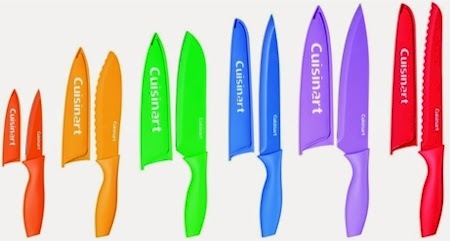 Amazon has this Cuisinart Advantage 6-knife set with blade guards for $12.00 with free shipping (no Prime account required). 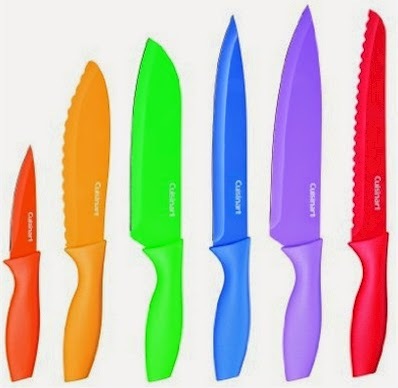 These knives got 4.7 out of 5 stars over 1,076 customer reviews, and are an Amazon #1 Best Seller. FYI, Bloomie's has this set for $50.00, Overstock has them for $27.47, JC Penney has them for $24.99. I've updated the Daily Cheapskate list of Amazon back-to-school supply deals for this year. There are 15 new items on the list today, 8/28/15. Can you do better on the cost of school supplies at Staples and Office Depot? On some items, absolutely, but you need to wait for the sale and get in the car. For some of you busy Moms & Dads, the trade-off between the time spent loading your kids in the car, going through the store circular, matching it up to your list, cruising up and down the aisles looking for the sale items (and hoping they are still in stock), added to the cost of gas is just not worth it if you can pick up most of what you need sitting in your sweats in front of your laptop in your air-conditioned living room. The advantage of time and convenience over money is completely a personal choice. I can tell you that the deals that I have researched here are the very best that Amazon has to offer. Some of items listed here are Amazon Add-On items, which means that the item ships free with a $25 minimum order for Prime members (and its price counts toward that $25) or it ships free with a $35 order if you don't have Amazon Prime. You can order a bunch of Amazon Add-On items together (or multiples of the same one) to get to your $25 or $35 minimum and score that free shipping easily. This is definitely the lowest price that I've ever posted on the beautiful and elegant Movado Museum watch. 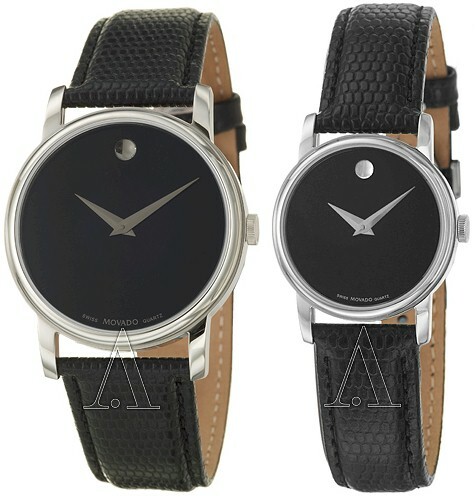 Ashford has got the Movado Museum watch in both men's and women's styles for $247.50, but enter promo code AFFMUSEUM189 at checkout, and that price drops to $189.00. Shipping is free. The watch features a Swiss quartz movement, a stainless steel case, leather band, minimalist dial, and the signature Movado dot. Each watch comes with a 2-year warranty. 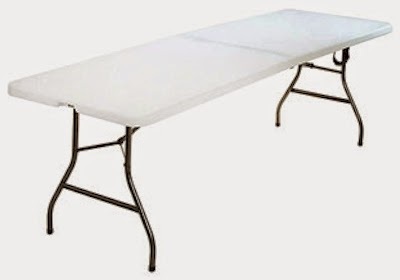 Walmart has their Mainstays 6-foot center-fold table in white for only $38.88 with free shipping or free in-store pickup. 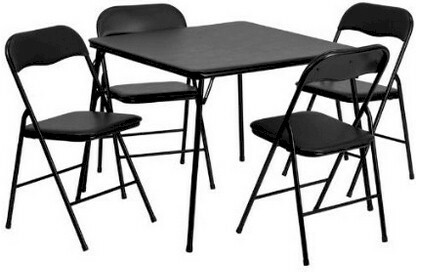 This Mainstays table received 4.6 out of 5 stars over 1.611 customer reviews. Compact folding design for convenient storing. Heavy-duty steel frame and double-sided metal support rails for maximum stability. Rubber capped feet are included to prevent damage to the floor. Handle for easy carrying on underside of table. White folding table is lightweight. Rectangular centerfold table requires no assembly. 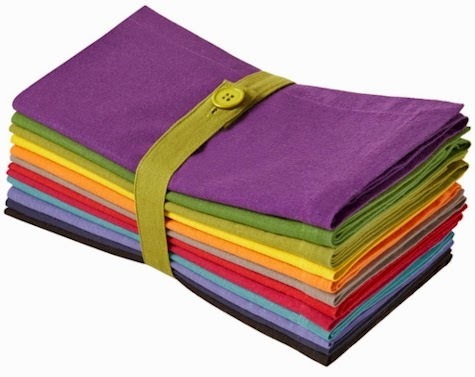 Amazon has got this set of a dozen multi-colored CottonCraft cloth napkins for $14.99 with free Prime/SuperSaver shipping. That comes to $1.25 per napkin. These napkins are 20" x 20" and are 100% cotton (so don't put them in the dryer). 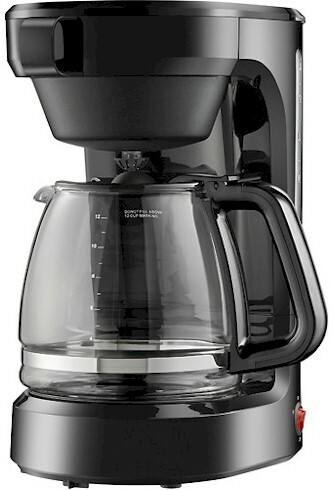 Great, no-frills, simple coffeemaker for a college dorm room, Passover (buy now, put it away), summer home or bungalow. 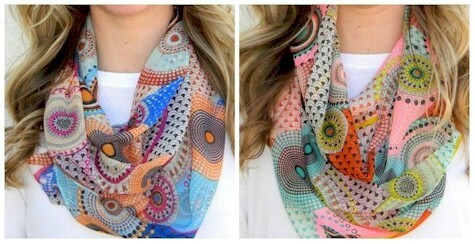 Jane.com has got these silk-blend retro-style infinity scarves for $18.99 $4.99 + $2.99 shipping = $7.98 shipped. That $2.99 shipping charge is only for the first scarf shipped; shipping for each additional scarf is $0.99. 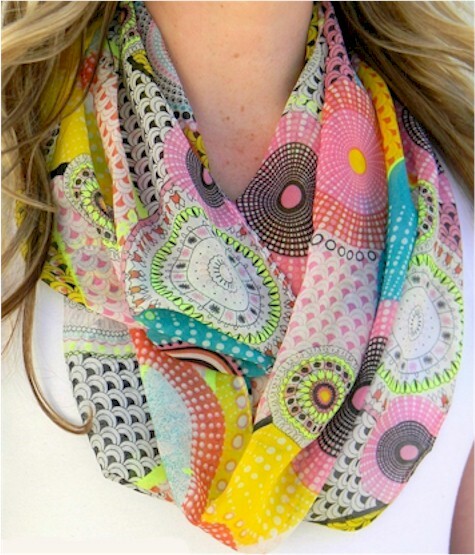 These scarves are made of 20% silk, 80% viscose and come in 6 color combinations. From the Kylilly Boutique. Amazon has got a special selection of tshirts for little boys, little girls, and infants, all under $9.99, over here. 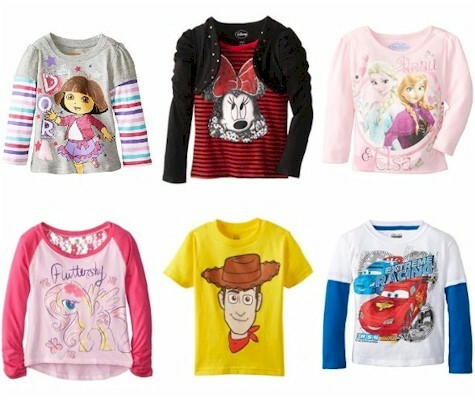 Both long-sleeve and short-sleeve included and brands include Nickelodeon Baby, Curious George, Disney, Extreme Concepts, Freeze, Handcraft, Hello Kitty, LEGO, and more. 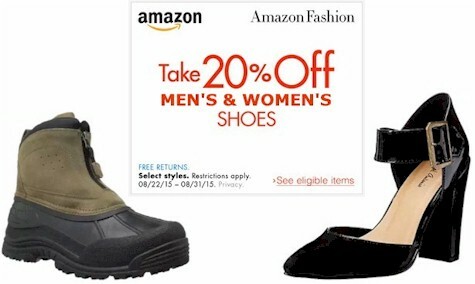 Take 20% off men's and women's select shoes on Amazon when you enter promo code NEW4FALL at checkout. $0.83 per bottle with the Subscribe & Save 15% discount (if you can take delivery of 5 or more active subscriptions in one month) . $0.93 per bottle with the standard Subscribe & Save 5% discount. Since this is such a well-priced deal, you can order multiples of this soap and stock up if you like. If you need the soap right away, you can always order it for $0.98 as an Add-On item (which menas it ships free with a $25 minimum for Prime members or a $35 minimum if you're not). 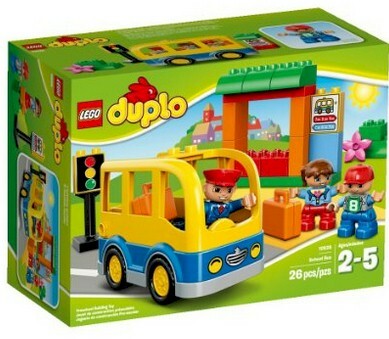 Got a kid who loves to figure out how things work and to build things? 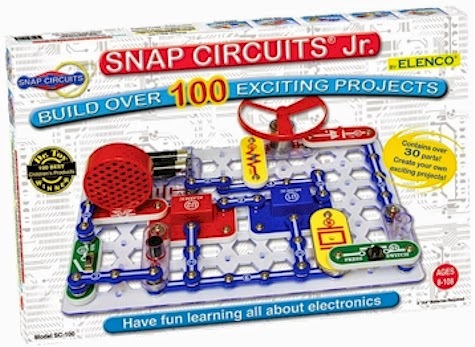 Amazon has got the Snap Circuits Jr. SC-100 Kit for $16.79 with free Prime/SuperSaver shipping. 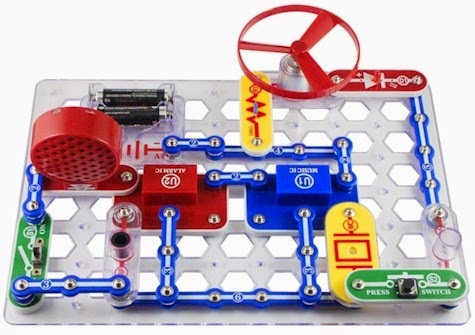 This Snap Circuits kit received 4.8 out of 5 stars over 3,013 customer reviews. 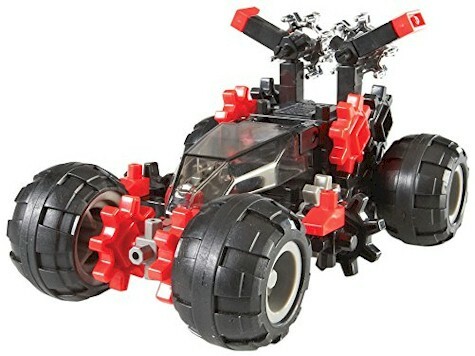 Amazon has got this Learning Resources McGears Triumph Building Kit for $11.44 with free Prime/SuperSaver shipping, only 45 cents more than the lowest recorded Amazon price for this kit. It got a perfect 5 out of 5 stars over 2 customer reviews. McGears pieces are compatible with other popular building sets. 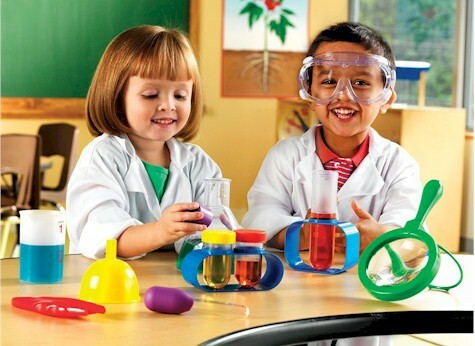 Real science for little hands. 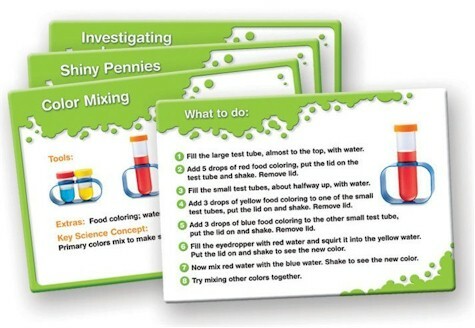 Includes 10 double sided activity cards. Includes beaker, magnifying glass, funnel, eyedropper, flask, tweezers, goodles, large 6" test tube and stand, two small test tubes. Amazon has had some nice price drops on these Rubbermaid LunchBlox modules. All Rubbermaid LunchBlox modules are designed to make taking lunch to school or work more convenient and organized. All containers snap together around the included medium Blue Ice pack so foods stays crisp and fresh without refrigeration. Designed to work together to save space, the kit will stay organized in any lunch bag. All BPA-free LunchBlox containers are leak-proof, microwave-, dishwasher-, and freezer-safe. 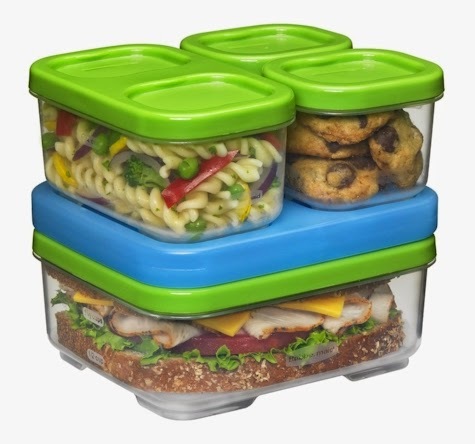 Rubbermaid Lunch Blox - Sandwich Kit is $7.99 with free Prime/SuperSaver shipping. Description: With one 2.6 cup flat container, one side container for fruits or chips and two small containers for additional items and a third container for additional sandwich toppings, taking a delicious lunch to school or work has never been easier. Kit includes (1) 1.8-Ounce, (1) 1.5-Cup, (1) 5.2-Cup, (1) Medium Blue Ice pack. 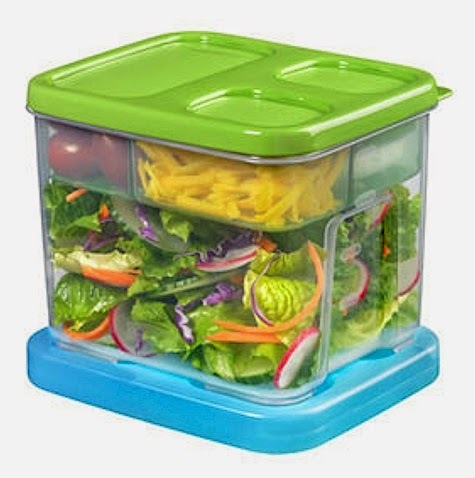 Rubbermaid Lunch Blox - Salad Kit is $7.99 with free Prime/SuperSaver shipping. Description: With a large 5.2 cup container, one dressing container and a third container for additional salad toppings, taking a healthy, vibrant salad for lunch to school or work has never been easier. Kit includes (1) 1.8-Ounce, (1) 1.5-Cup, (1) 5.2-Cup, (1) Medium Blue Ice pack. 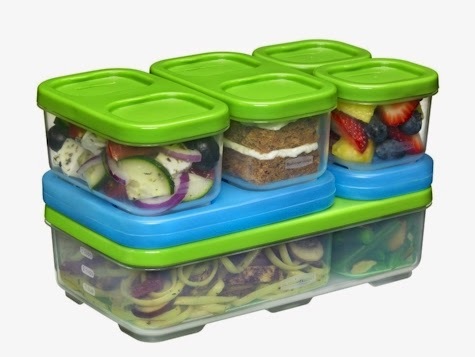 Rubbermaid Lunch Blox - Entrée Kit is $12.95 with free Prime/SuperSaver shipping. Description: The Entree container is large enough to bring a full meal in one container and includes slide-in dividers to keep foods separate. The kit comes with two side item containers perfect for small side salads and desserts along with two small sauce containers to complete your dining experience. Kit includes (2) 0.5 Cup, (2) 1.2 Cup, (1) 4.1-Cup with (1) 0.8 Cup & (1) 1.8 Cup Dividers, (1) Small Blue Ice pack, and (1) Medium Blue Ice pack. When I'm not the Cheapskate-in-Chief on this blog, I'm a webdesigner, and I've worked as one for over 18 years. I use the full version of Adobe Photoshop for my work, but it comes with a professional pricetag. Whenever friends ask me to recommend graphic-editing software for them, I always tell them about Photoshop's "little sister," Elements 13. 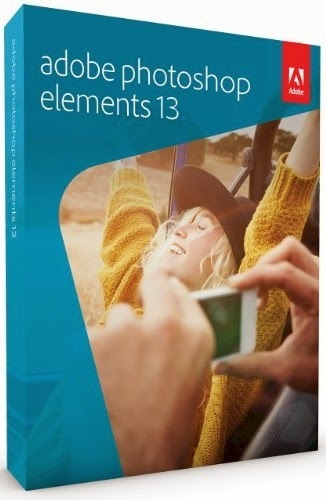 Elements 13 is scaled-down version of Photoshop that lets you create and edit your graphics and images easily. And for today (8/25/15) only for their Gold Box Deal of the Day, Amazon dropped the price on Photoshop Elements to its lowest price ever, $44.99 with free shipping for the PC/Mac version (it normally goes for about $80). 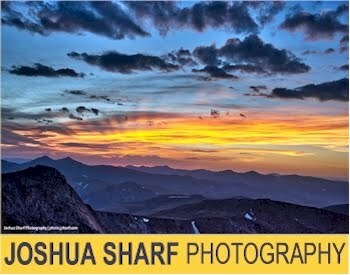 Edit - Amazing photos - no experience needed. Make quick edits, add artistic touches like a pro, or transform your photos to show your vision. Photoshop Elements can guide you through or do it for you. Go - Sync your mobile photos with Elements and your Elements photos with your mobile devices, so you can access any memory anywhere. 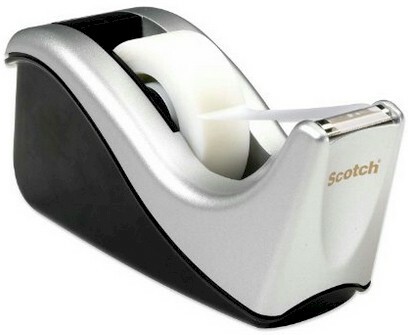 Amazon has got the Scotch Silvertech Desktop Tape Dispenser for just $3.79. It got 4.6 out of 5 stars over 308 customer reviews. This is an Amazon Add-On item, which means that it ships for free with a $25 minimum order if you are an Amazon Prime member (and the price of the item, $3.79, counts towards that $25), or it ships for free with a $35 minimum order if you're not a Prime member. You can buy multiples of this item to help get you to your $25 or $35 minimum for free shipping. Weighted base and non-skid pad for one-handed dispensing. Holds 1/2" or 3/4" tape on a 1" core, up to 1500" long. High quality blade lasts for years. $4.67 with the Subscribe & Save 15% discount (if you can take delivery of 5 or more active subscriptions in one month). $5.22 with the standard Subscribe & Save 5% discount. $4.75 with the Subscribe & Save 15% discount (if you can take delivery of 5 or more active subscriptions in one month). 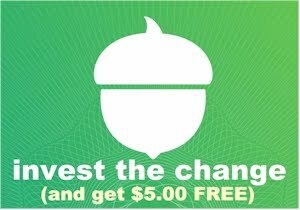 $5.33 with the standard Subscribe & Save 5% discount. 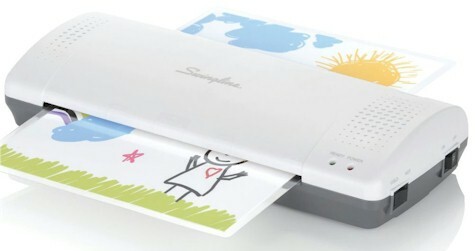 Amazon has got a terrific Gold Box Bonus Deal of the Day today, 8/24/15: this Swingline Inspire Plus Thermal Laminator is just $14.99 with free Amazon Prime/Super Saver shipping (regularly $29-$30), the lowest recorded Amazon price on this laminator. It will laminate items up to 9 inches wide and got a super 4.6 out of 5 star rating over 46 customer reviews. This laminator also has a "cold" setting for laminating heat sensitive items. If you recall, Amazon has run Gold Box Deals on laminators in the past, although this is the lowest price that they have ever posted on a top-brand laminator. I bought two of them in a 2011 Gold Box Deal, one for us and one as a gift. I wasn't sure how much we'd use it, but I was pleasantly surprised, as it turned out to be a very smart, frugal purchase; it's great for laminating Sukkot decorations, presentation tools, flash cards, car registrations, luggage tags, bookmarks, recipes, photos, all those often-used things hanging on the fridge, greeting cards, documents, crafts, and all kinds of stuff. A friend of mine uses it to make placemats out of her kid's school artwork. It comes with five letter-sized lamination pouches to get you started, but you can pick up 100 pouches here for $9.99, (normally $14.30, also on special Gold Box pricing today, I would buy more than one) and some smaller ones here for $3.45 (Add-On item). 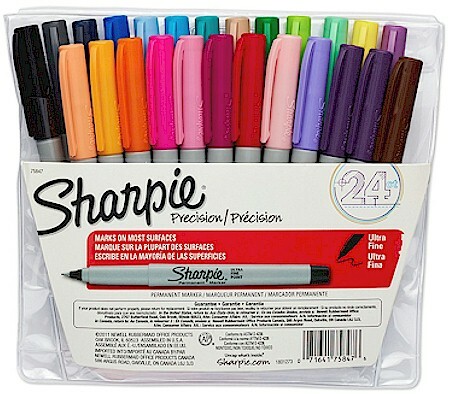 Amazon has got this set of Sharpie 24-count Ultra-Fine-Point Permanent Markers for $10.89 with free Prime/SuperSaver shipping. Hayneedle has got these Coral Coast Bayside Wood Outdoor Rocking Chairs for only $99.01 with free shipping. Description: What a way to enjoy a beautiful day outdoors. The Coral Coast Bayside Wood & All Weather Wicker Outdoor Rocking Chair pairs classic style with durable, long-lasting materials to bring you what's sure to be your favorite outdoor seat. 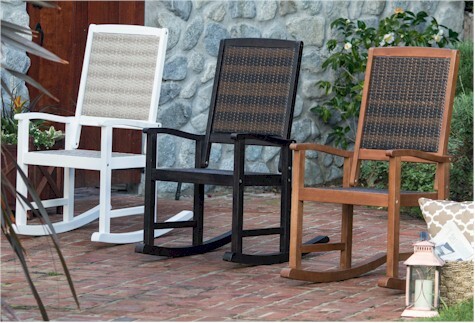 A durable acacia wood frame is complemented by an all-weather resin wicker seat and backrest. This resin material won't fade, warp, mold or deteriorate and it's super easy to clean. Choose from available options for your frame color. The White chair is painted, the Natural chair is treated with a protective oil, and the Espresso chair is stained black. Simply pick your favorite and let the relaxation begin. Dimensions: 22.5W x 19D x 43H in. 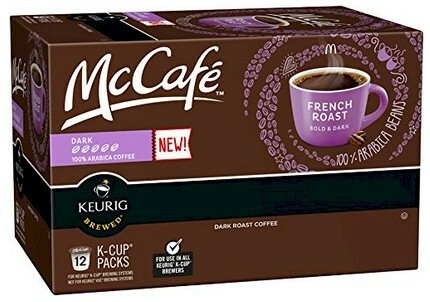 $6.18 - $1.82 coupon = $4.36 or 36 cents per k-cup with the Subscribe & Save 15% discount (if you can take delivery of 5 or more active subscriptions in one month) . 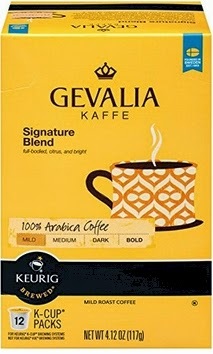 $6.91- $1.82 coupon = $5.09 or 42 cents per k-cup with the standard Subscribe & Save 5% discount. $6.20 - $1.82 coupon = $4.38 or 37 cents per k-cup with the Subscribe & Save 15% discount (if you can take delivery of 5 or more active subscriptions in one month) . $6.93- $1.82 coupon = $5.11 or 43 cents per k-cup with the standard Subscribe & Save 5% discount. Thermos Funtainer 12 oz. Bottle, (pictured above) $11.99 with free Prime/SuperSaver shipping (lowest recorded Amazon price) available in plain blue, plain pink, Frozen sisters, Frozen Olaf, Spiderman, Hello Kitty and Star Wars Rebels. Thermos Funtainer 10 oz. 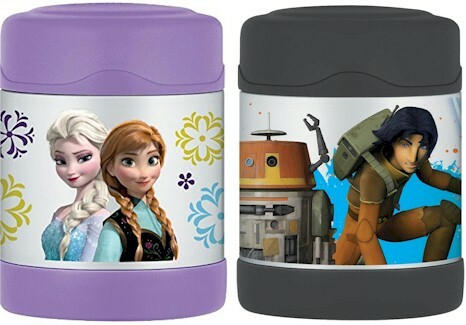 Food Jar, $ $11.99 with free Prime/SuperSaver shipping (lowest recorded Amazon price) available in , Frozen sisters lavender, Frozen sisters pink, Frozen Olaf, and Star Wars Rebels. And lots more deals. 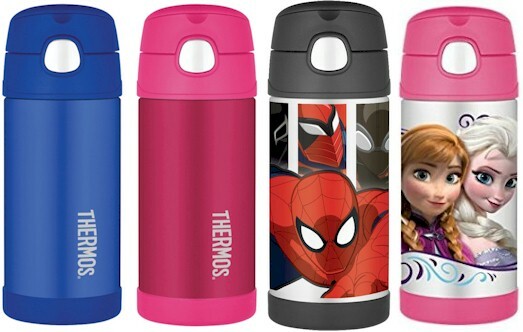 Remember, the prices on these select Thermos items are good today, 8/23/15 only.